We all know how it is… weddings are expensive. You could find yourself shelling out a lot of money on things that you really don’t need. So, we’ve got some really simple, practical and pretty easy ways that you can save money for your wedding. Some genius money-saving tips for your Big Day! A word of warning here, know your limits and what you’re capable of. Don’t be that person who makes her own dress, bakes the cake, creates and sets up all the decor. You’d save money, for sure, but you’d probably go insane in the process. Pick something that you are great at and start with that. 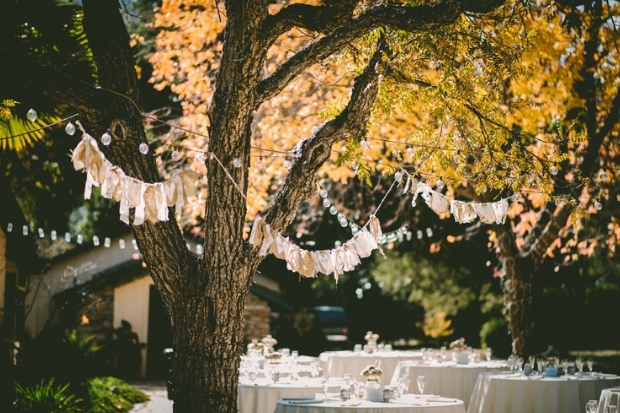 Even a relatively small task like sewing bunting will add a lovely touch to the wedding, save money, and won’t be a huge thing to do. This is a really great way of keeping your costs down. Do you have a friend who is recently married? Perhaps you spied out some decor of hers that you really liked. Ask if you can borrow it. Little things like table runners, chair tie-backs, cake stands, photo frames, and so on, are lovely touches that can really add up. If someone else has already bought them and is happy for you to borrow them, go for it. You know what they say, you wear your wedding dress for just one day. There are tons of brides who have bought incredible dresses, worn them once, got them cleaned and are selling or renting them out. If you’re on a tight budget, consider shopping for a pre-loved wedding dress. Do you have a friend who makes awesome cakes? Ask that friend if they’d be willing to make your wedding cake if you buy all the ingredients. Maybe your uncle has a fancy car that he’d be happy to drive you in, so you’ve got a sweet ride for the wedding. Perhaps you’re friends with a killer professional musician who’d love to perform while you walk down the aisle? As long as you express that your friends and family can say ‘no’, it’s totally fair to ask them. If you’re looking to save a few pennies, don’t bother with wedding favours. Spend time interacting with all your guests instead, and say ‘thank you’ in person. People won’t notice if they don’t have a wedding favour waiting for them at the wedding. 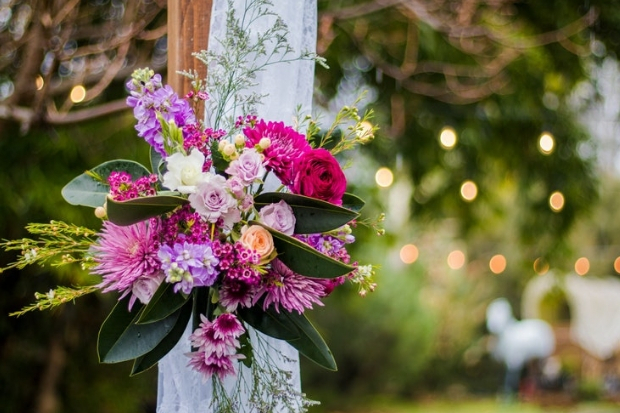 Saturdays are pretty popular days to get married on, and as a result, a lot of vendors will get booked up really quickly and will charge you their full rate. Lots of venues, photographers, and other suppliers have an offpeak rate that they charge for weekday weddings. Do a little exploring to see how much you’d save if you did this! This may seem obvious, but less people = less money spent. Consider cutting down your guest list and having an intimate wedding with fewer loved ones. We all know how important your girls are to you. Ask them to be your bridesmaids, but ask if they’d be happy to buy their own dresses and do their own hair and makeup. Expert tip: If you’re going to ask them to buy their own dresses, let them choose what they wear. It’s only fair. Give them a colour scheme and let them each pick something that suits them. You’ll end up with a gorgeous mix and match vibe that you haven’t had to pay for. You know those pretty extras you’ve seen on Pinterest? Tiaras for the bridesmaids, a spa day for you and your mom, a Prosseco bar, a six-tier wedding cake. Do you need all of those things? Probably not. Start with the things that you really need – venue, dress, photographer, etc – and if you’ve got the budget for a few extras, then go for it. Getting married at a meal time means that you’re going to have to feed your guests. This doesn’t have to be a sitdown meal with three courses, but it does have to hit the spot. Consider food bars, pizza, a huge BBQ or something else that you love and you know your guests will love. Or consider having your reception at an unconventional time, where you could get away with serving awesome snacks and finger foods or desserts! Speaking of food, you don’t need cake and dessert. You could totally serve your cake as dessert. Email your wedding invitations (maybe print one for your gran). You also don’t need a printed menu for each guest. Buy a bit chalkboard and write the menu out. We all want to spoil our bridesmaids, groomsmen and parents with a lovely gift on the day to say ‘thank you’. It really is the thought and the gesture that counts, so instead of shelling out money on something, write a really heartfelt letter instead. Use your words to express just how special they are to you!